While living in Dubai, if you ever wish to try Chinese food with a different taste, you may find Star Mingling Chinese Restaurant one good option. Located in the Hallmark Hotel, the restaurant has made decent mark in Chinese food market in Dubai. It serves traditional Chinese food with different Asian touch. You will find large variety of Chinese dishes in its menu book. However, Star Mingling Chinese Restaurant does not dish up alcohol and neither they follow bring your own policy. One can also avail the services of Star Mingling Chinese Restaurant, if they want outside catering or looking to arrange a private or product launch party. In addition to this, you can now avail their take away service as well to savour their delicious food at your own place. The Star Mingling Chinese Restaurant opens on all seven days of the week and its operational hours for lunch starts from 12 noon and ends around 15:30. On the other side the diner commences around 19:00 and last orders are taken at 23:30. First Floor, Hallmark Hotel, Al Rigga Street, Behind Commercial Bank Building Deira - Dubai - United Arab Emirates. Union (Green Line) Metro Station 1 is 500 metres away from Star Mingling Chinese Restaurant. It will take you about 6 minutes to cover this distance, if you walk from this metro station towards this restaurant. The direction you will choose will be east on 8th Street that goes towards 23rd Street from Union (Green Line) Metro Station 1, from where patrons should stay left at the fork and then continue straight onto Al Rigga Road. Soon you will locate the destination on the left. Directions from Union (Green Line) Metro Station 1 to Star Mingling Chinese Restaurant. 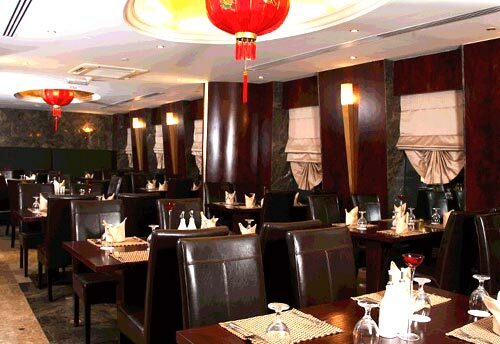 Al Muraqqabat, Ghurair City is the nearest bus stop from Star Mingling Chinese Restaurant. The distance between these two spots is 130 metre and by walk bus users can bridge it in 2 minutes approximately. All they need to do is to head south towards Al Rigga Road after arriving at this bus stop and then take a slight left turn, which will bring them onto Al Rigga Road, from where destination is not too far on the left side. 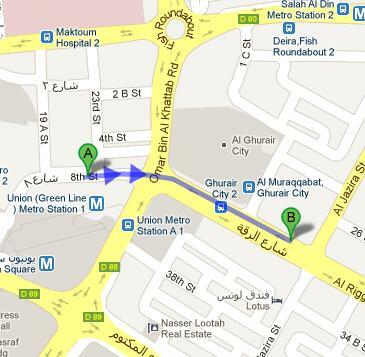 Directions from Al Muraqqabat, Ghurair City to Star Mingling Chinese Restaurant.